Some Hair-raising news! Science comes one step closer to the holy grail of curing baldness. Finally, at last. Receding hairlines in men and thinning hair in a woman, will no longer be a“deal breaker” affecting self-image and emotional health. 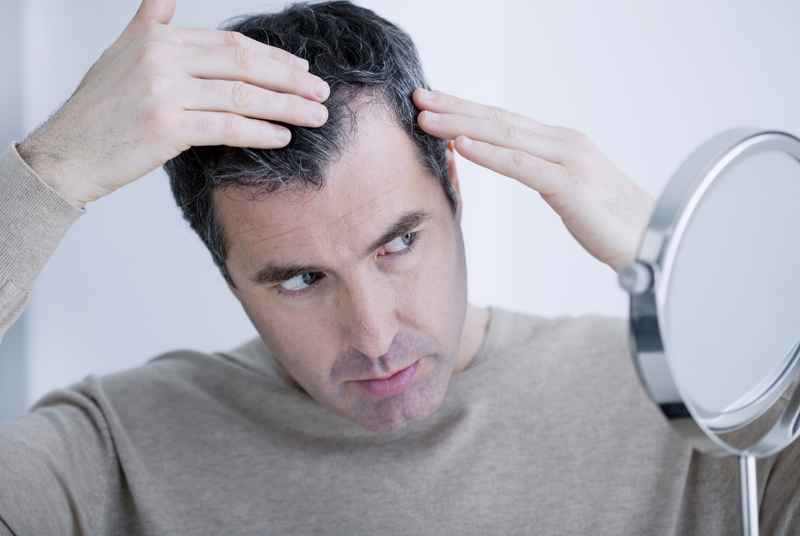 Two new studies bring hope to curing baldness. Researchers at the Durham University, UK and Columbia University Medical Center took clumps of hair growth cells from the base of hair follicles, known as dermal papillae, from 7 human donors and then transplanted back into human skin. The skin sprouted human hair that lasted at least 6 weeks. Currently, the only treatments for hair loss have been hair transplants, which work by redistributing available hair, and medications which may work better in some and have disappointing results in others. Besides potential side effects, current medications offer no cure and may not work as well in men over 40. The new method being studied actually regenerates new human hair cells instead of redistributing hair from one part of the scalp to another and offers the potential to produce a large number of hair follicles or rejuvenate existing follicles. It can also offer therapy for women with female pattern baldness and hair loss due to burns. According to Science Daily, January 2015, researchers at the Sanford-Burnham Medical Research Institute developed a method using human stem cells to generate new hair. Again, this is another improved technique vs transplanting hair cells from one location to another. Due to the unlimited source of cells from the patient, the patient isn’t limited to the availability of hair follicles. The study has been completed in mice and is awaiting partnerships to implement trials in humans. Stay tuned.